Home - A-Consult plus, spol. s r. o. Home - A-Consult plus, spol. s r. o.
is an expert institution and a consulting company. 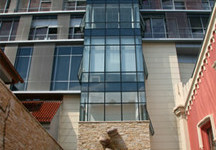 We offer to our clients the appraisal of all types of property.